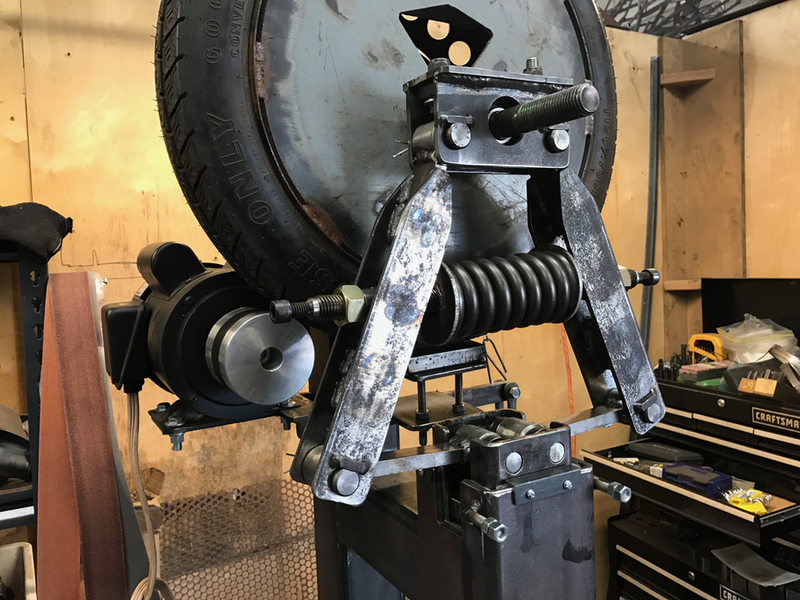 This blog highlights some of the tools and jigs I have built over the years. I believe the key to being creative with modern tools is to have a clear understanding of their design and inner workings. The best way to do this is to take your tools apart and put them back together, or build them from scratch. I started building this hammer 6 years ago. Its great to finally have it finished. 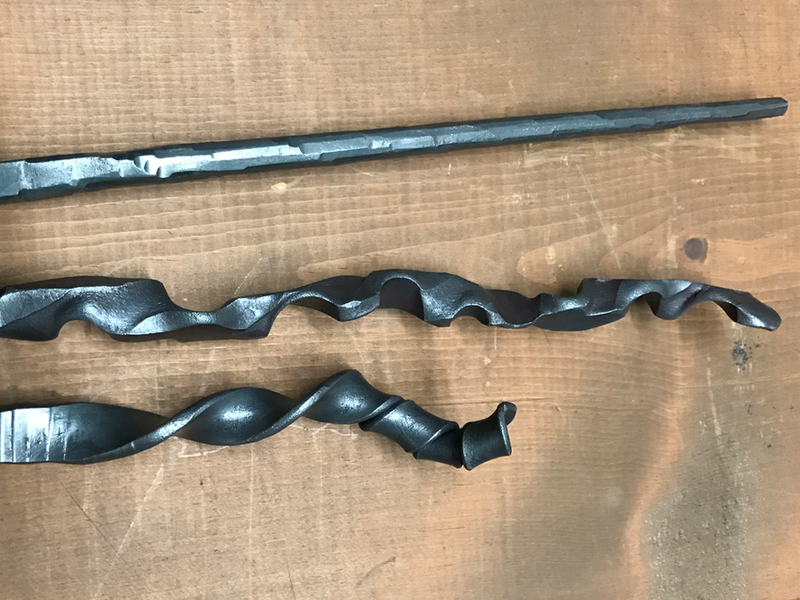 I knocked out a few test pieces to see how it works. 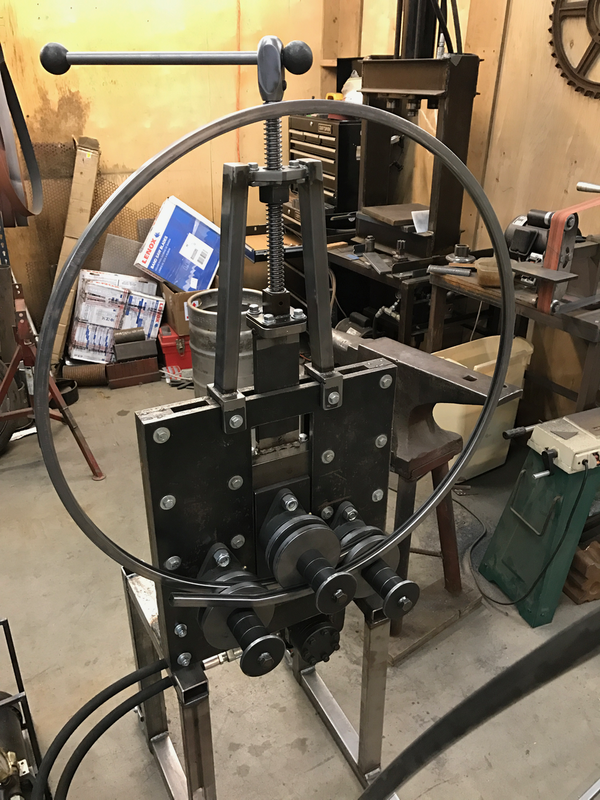 Just finished the hydraulic powered "Roll Bender". 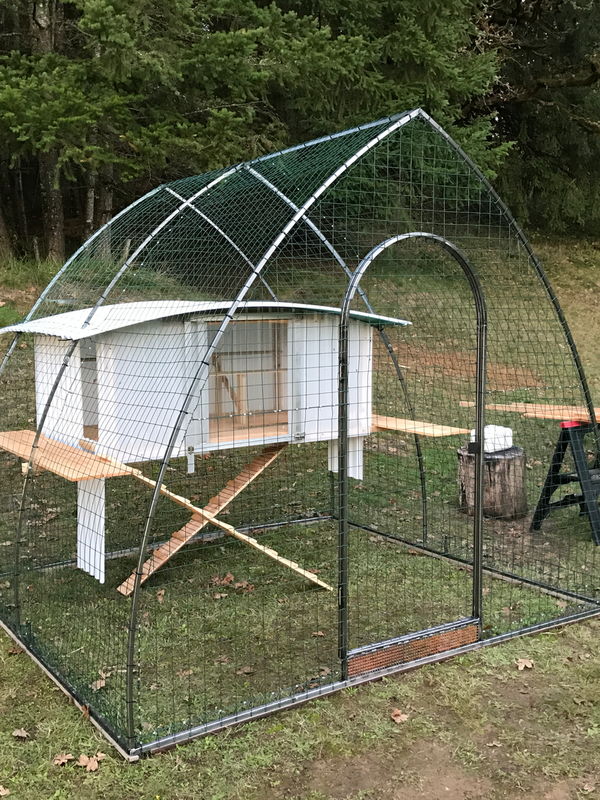 First project was to bend the ribs for a chicken coop I built for Wildwood Farm Sanctuary.